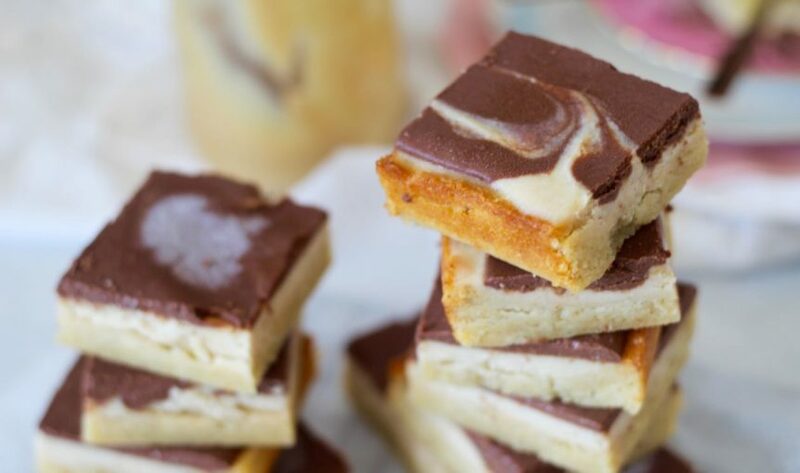 This delicious Choc Almond Biscuit Slice is absolutely heavenly. It’s one of those sweet treats where you wanna go back for more and more. It’s brought to you by our amazing blog partner, SupaBarn. Be sure to check them out! 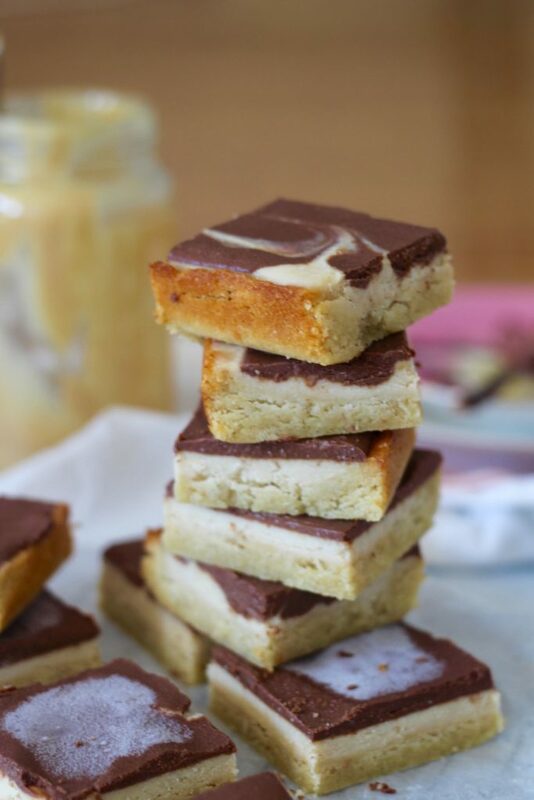 As we said this choc almond biscuit slice will have you coming back for another slither and then another. So it’s officially banned… haha just kidding. We are just strengthening our willpower but also it’s the perfect healthy sweet treat recipe to make for a special gathering or celebration… trust us, it will disappear fast. Everyone will love you when you bring out a plate of this grain free, gluten free, refined sugar free slice. You’ll for sure be the favourite. We love this treat so much because it’s half-baked and half raw. With a soft gooey biscuit base, a nutty middle layer topped with the most drool-worthy decadent chocolate. If you make this delicious and easy recipe be sure to share a picture with us! We love seeing them and re-sharing them. Preheat oven to 180°C (350°F) and line a 20 x 20cm (8 inch) slice tin. In a large bowl place all the almond meal and coconut flour, mix well. In another small bowl mix together the melted butter, vanilla and honey. Add the honey mix to the dry ingredients and mix until a sticky dough forms. Press the base into the prepared tin evenly spreading it out. Place into the oven for 10 minutes or until just brown, take out and leave for now. Let's get onto the filling! Place all ingredients into your high speed blender or food processor and whiz until super smooth. Transfer the filling on to the base and spread evenly. Place into the freezer while you get onto the delish topping! For the topping, simple place all topping ingredients into your blender or food processor (no need to rinse) and whiz until smooth. The friction from the blending will slowly melt everything together, creating a smooth, chocolate topping. Spread the topping onto the filling and place into the freezer for 1 hour or until set. Cut pieces and nom nom nom! This really is the perfect slice to keep in your freezer in an air tight container (if you're not sharing it!) that way you won't eat the entire thing in one sitting. Trust us... this is a very good idea. We also made this using peanut butter instead of almond butter and OMG if you're a peanut butter fan we definitely recommend.